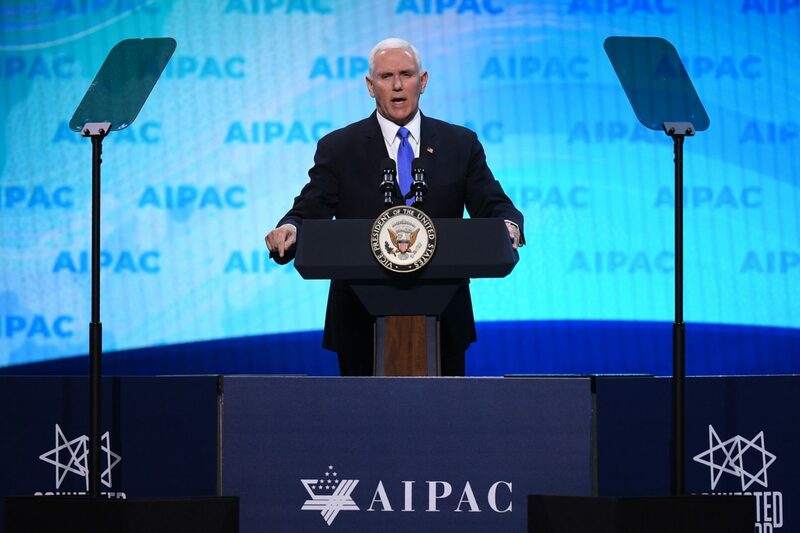 Vice President Mike Pence criticized Democratic presidential candidates who opted not to attend this year’s American Israel Public Affairs Committee (AIPAC) conference during his speech at the event Monday. A number of Democrats vying for the party’s nomination announced their intention not to attend the event last week after a progressive organization, MoveOn, called on politicians to boycott the committee. It’s not clear that the candidates’ decision not to attend the conference is related to the boycott.